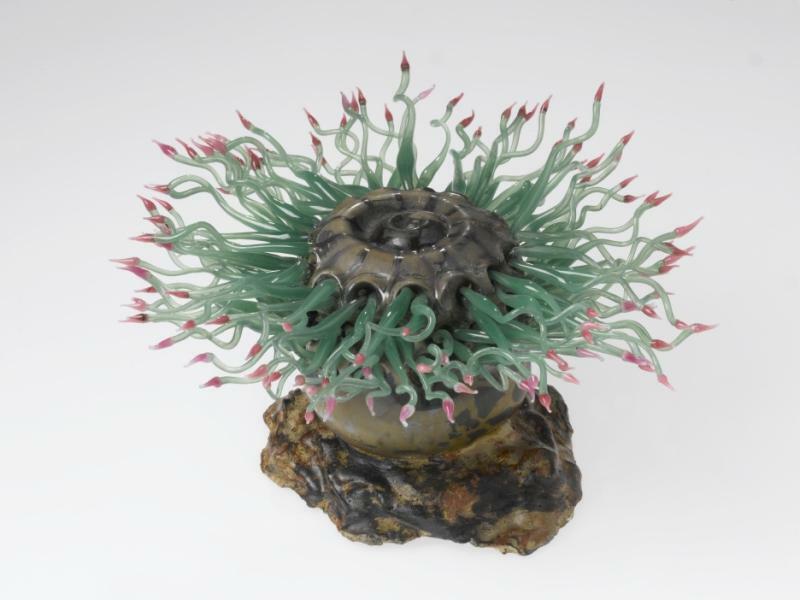 This blog post features the beautiful Blaschka models; delicate glass representations of sea creatures and other invertebrates created by master craftsmen Leopold and Rudolph Blaschka. Here curator Geoff Swinney talks about the appeal of the models. 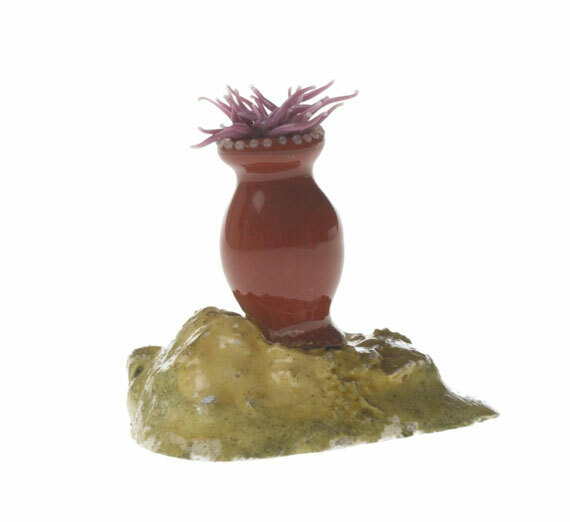 I have long been fascinated and intrigued by these glass models. For me, these models are from a different world. They were made in a time when photography was in its infancy, and the aquarium was an expensive new invention. 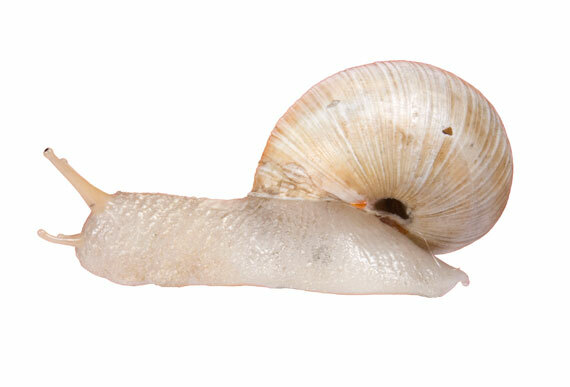 In such a world how could people be shown the smaller animals which live in the seas? Sure, there were engravings in scientific books, but Leopold Blaschka devised a way of bringing these pictures ‘to life’ in 3D. 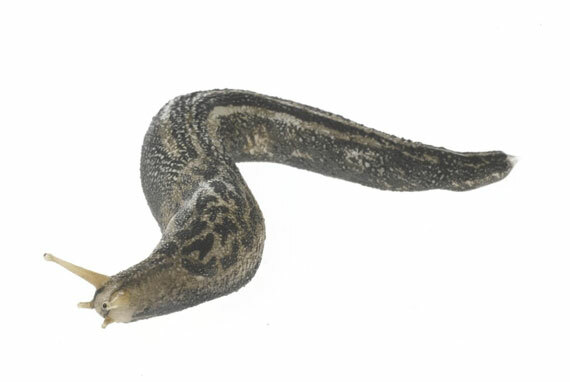 I find it fascinating to think that opportunities to see the living animals close up and in detail were so rare that even Blaschka himself had to work from scientific illustrations. These he translated from mere two dimensional pictures into lifelike models. 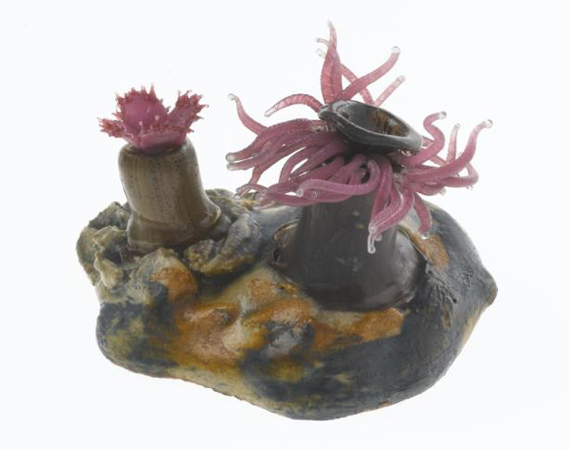 Glass was an ideal medium for capturing the delicacy and beauty of these invertebrate animals. His training as a jeweller enabled him to craft the glass into exquisite representations of how the animals would look when alive. Are the models works of art? Are they examples of superb craftsmanship? Or are they merely exquisitely-made teaching aids? For me such questions are pointless. The models, quite simply, are things of beauty, made with great skill and ingenuity. 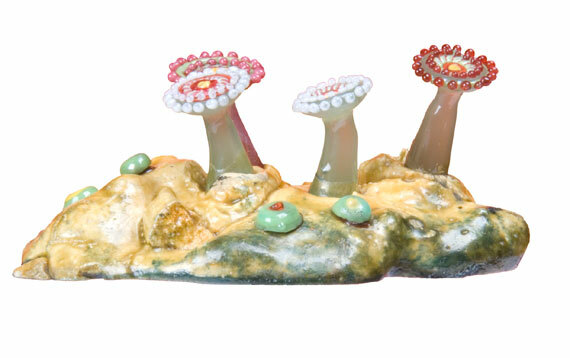 They lie at an intersection of art, natural science and technology. I am delighted, therefore, that when the refurbished Victorian portion of the National Museum of Scotland opens next summer, the models will feature in the Window on the World section of the Grand Gallery. 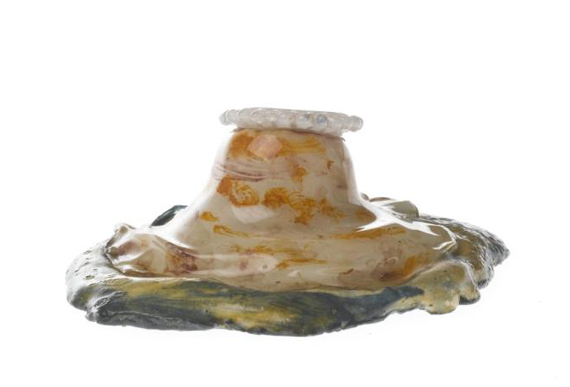 There they are not associated with any particular section of the collections: they are neither art nor science. In this setting, the models may be enjoyed in a variety of ways and can tell a variety of different intersecting stories drawn from both art and science. 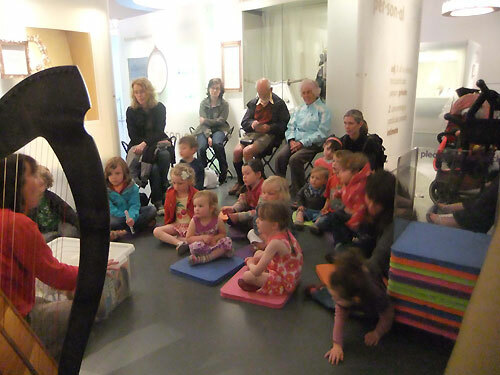 The debut of our first story box took place last weekend here at the National Museum of Scotland during a storytelling event for National Family Week. The theme for this story box is Animals. It was created by a Family Learning Group in Leith along with help from Heather Yule, a professional storyteller. The group really enjoyed the traditional Scottish tales, especially when it was time to make all the various animal noises to go along with the stories! The children were also given a chance to tell their own stories about animals, some were very creative and made up right there on the spot. The books that were chosen for this animal themed story box were The Tortoise and the Hare and Aesop’s Funky Fables. 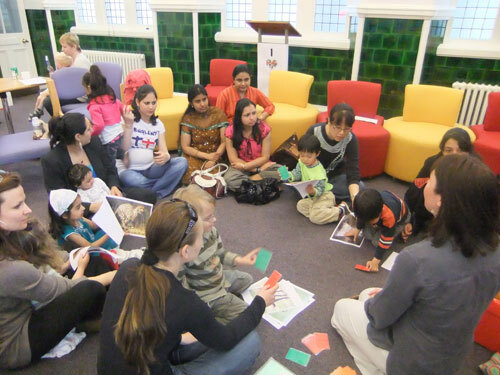 Children taking part in a story box workshop with a Family Learning Group. Thanks to a loan from the Scottish Storytelling Centre, we were able to bring along a sample story box. The soft toys and finger puppets were a big hit with the children and they enjoyed the feeling of discovery while digging through the box for the animals in each story while Heather was telling it. The group also had some great input for what else they would like in their story box, everything from riddles to masks to fluffy slippers with animals on them were suggested. Hands up who wants to hear a story! 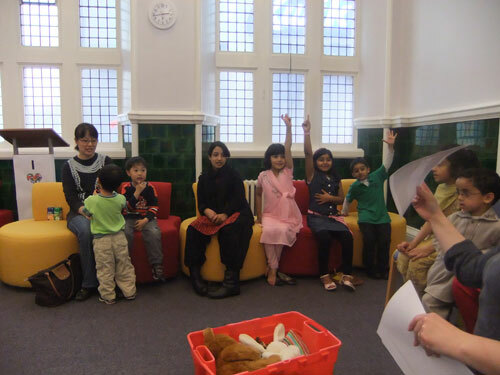 Telling stories at the story box workshop at McDonald Road Library. 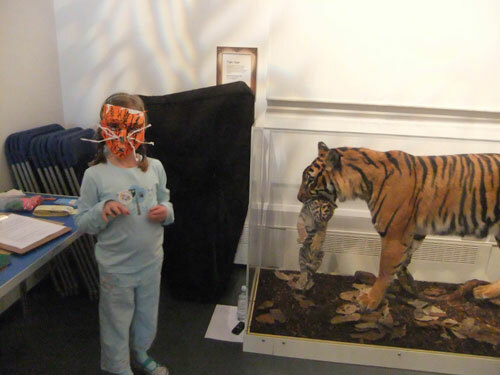 The Animal Tales storytelling session took place in the Treasured: Wonderful Things, Amazing Stories exhibition, with four performances throughout the weekend. Heather read the selected books while using the items in the story box to enhance each tale. The storytelling sessions were accompanied by mask making, plate decorating and fossil making, as well as a dive though the treasured box. 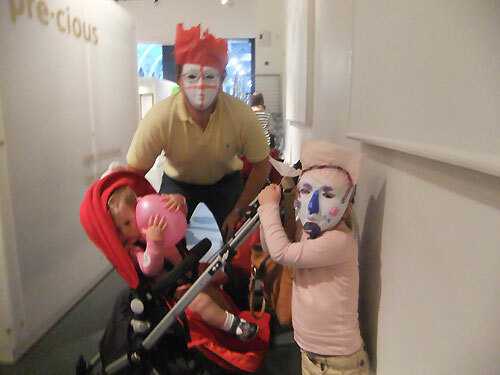 Visitors used the masks in the Treasured exhibition and the masks from the story box as inspiration for some beautiful designs. Making masks at the Animal Tales storytelling session. Listening to Animal Tales in the Treasured gallery. 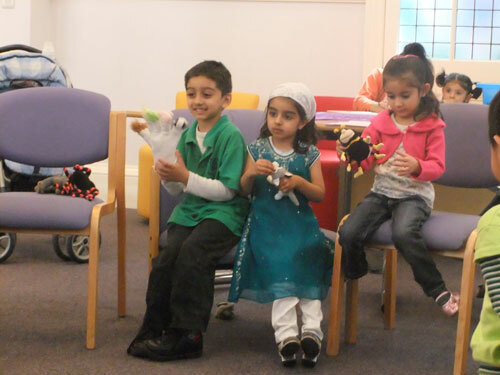 A masked family at the Animal Tales storytelling session. I am currently undertaking a two month work placement on the Community Engagement Team in the Learning and Programmes department at the National Museum. This placement is part of the required course work for my Masters in Art Museum and Gallery Education at Newcastle University. In September 2009, I moved to Newcastle from Boston in the US to begin the course, now I’m living in Edinburgh for the duration of the placement. This placement was of particular interest to me because it was one of the few that involved doing outreach work. With the reopening of the Royal Museum in summer 2011, the museum will include a new gallery called Imagine where children and families can play and share ideas together, stimulated by a series of hands-on exhibits, inspired by objects from our World Cultures and European Art Collections. One area of this gallery called Story Place will focus on the telling and making of stories and feature a display of animal themed objects. Artist's impression of the new Imagine gallery. The Community Engagement Team has been busy working alongside a professional storyteller, Heather Yule, and a local Family Learning Group to put together story boxes full of soft toys, objects and games to go along with selected animal stories for the Story Place. 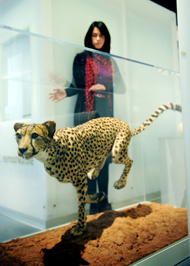 The cheetah in the Treasured exhibition. A few weeks ago the Family Learning Group was invited for a tour of the exhibition Treasured: Wonderful Things, Amazing Stories at the National Museum of Scotland. The exhibition has all types of animal specimens from a cheetah to a helmet made out of a tortoise shell. 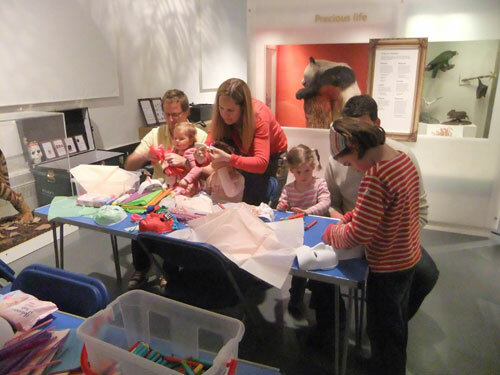 The aim is to familiarise the family group with the museum’s collection and introduce the idea of story boxes, with ultimately the participants choosing the contents of the bags. The group will also work with Heather to produce their own story based on animals they have selected from Treasured. The story boxes and the participant’s story (told by Heather) will be showcased to the public at the Museum during National Family Week on the 5th and 6th of June. Next week Heather and I will be meeting the group offsite for a workshop to tell stories and to gather ideas for the content of the story boxes. 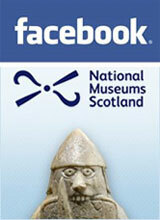 You can find out more about the Royal Museum Project and Treasured exhibitions here.